Uncle George has left you his farm, but unfortunately it’s in pretty bad shape. Using business skills and the help of your neighbors, family and friends you can turn the overgrown barnyard into a beautiful and prosperous farm again. Plant the right crops, harvest and process them, care for your animals and make sure that your workers are happy – this is how your farm will grow successfully. 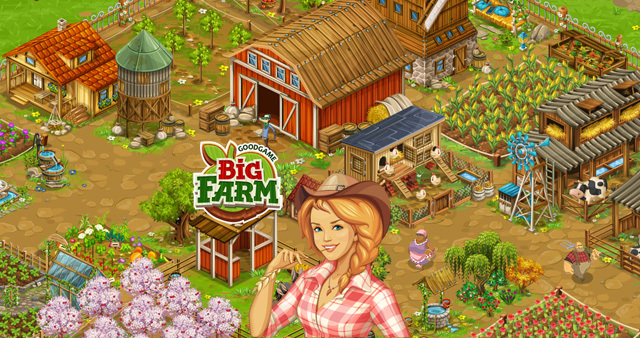 Sell goods to earn money and buy production materials, buildings and equipment to help grow your Big Farm! 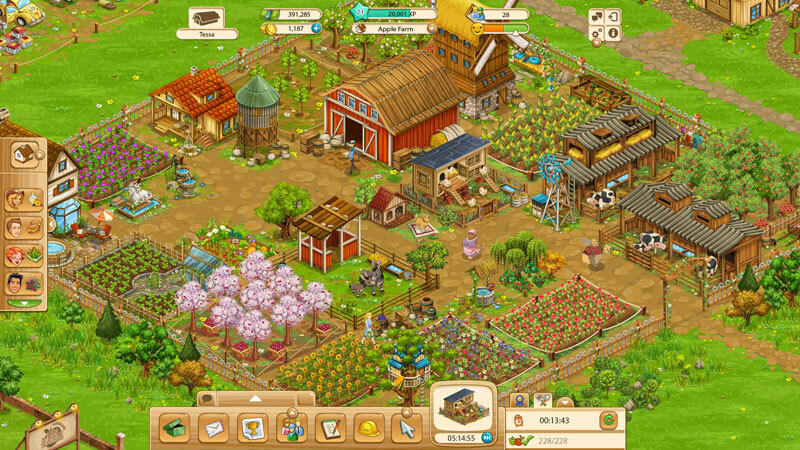 Turn the overgrown barnyard into a beautiful successful farm! 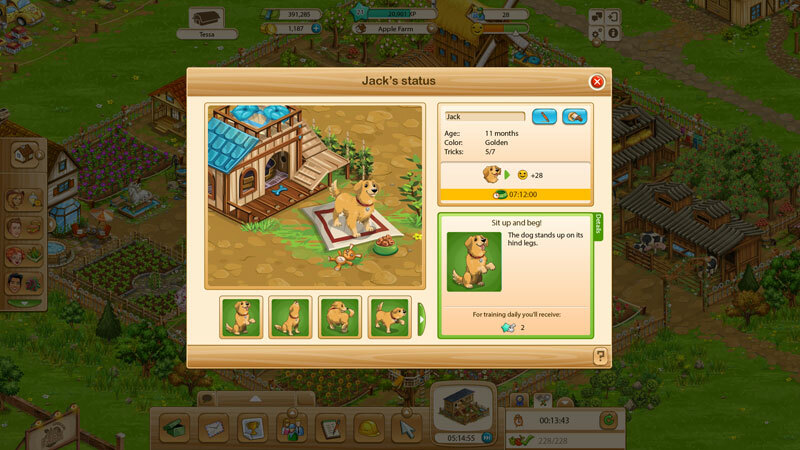 Plant crops, harvest them and care your animals! Use your business skills and the help of your neighbors! Over 45 types of buildings and multiple upgrade levels! Over 90 products and complex economic cycle!